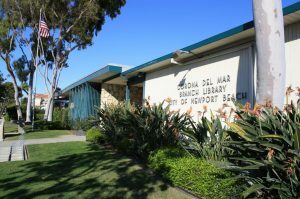 The Newport Beach Public Library’s board of trustees is moving forward with improvements to the Corona del Mar branch, despite a recent setback to a full remodel and adjoining fire station. 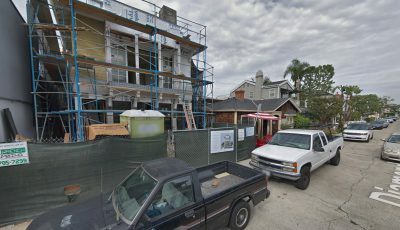 After the anticipated $8 million plan was approved by the city in 2015, the current close-fisted City Council has delayed the project, along with other building initiatives, to address the city’s ominous unfunded pension liability that stands at around $315 million. The Corona del Mar “Fibrary,” as it is locally known, can wait, but critical updates will not for an aging structure that receives over 40,000 visitors a year. Knowing that, Library Board of Trustees chairwoman Jill Johnson-Tucker had tasked fellow trustee Paul Watkins to form a list of maintenance priorities. His list, formed in conjunction with a committee of library volunteers and staff, addresses 13 improvements that the branch needs immediately, from roof and deck repair to interior paint and window replacement. 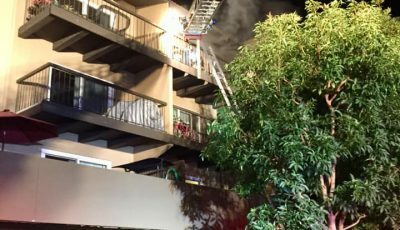 The cost is estimated to be between $35,000 and $42,000, according to the board’s staff report. 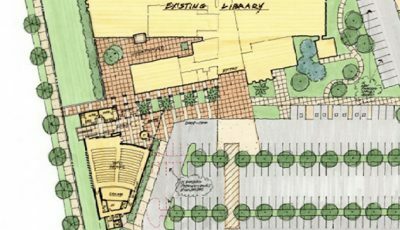 The library board approved the maintenance plan Monday, but City Council still needs to authorize the work, said Tim Hetherton, Newport Beach library services director. Termite eradication was the most urgent need identified by the committee, and will cost $3,000. 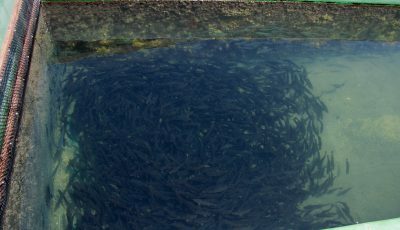 The committee has already found a vendor to perform the fumigation, which will require that the branch be closed for three days in a row. Hetherton says the work will mostly likely take place beginning on a Saturday, since the branch is closed on Sundays and Mondays. A date for the work has yet to be set. Built in 1959, the Corona del Mar branch seems young compared to the Balboa branch, located on E. Balboa Blvd. at Island Ave. on the peninsula. It dates back to 1929 and was the original municipal library of Newport Beach. 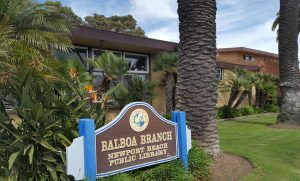 The location of the Balboa branch was chosen because the site had existing restrooms, which were incorporated into its original 2,200 square foot building (it was expanded to 6,000 square feet in 1960). Records show that the Balboa branch was a bustling place in the 1940s and had its first telephone installed in 1944. The branch is home not only to a special Nautical Collection of fiction, nonfiction, and reference books for boating and sailing, but also to many city artifacts from the Newport Beach Historical Society. The Balboa branch contains some 35,000 books, and had nearly 60,000 checkouts between March 2016 and February 2017. And, like the CdM branch, it is adjacent to a fire station. Together with the Central branch in the Civic Center enclave and the Mariners location on Irvine Blvd., the four libraries are maintained at the city level and not affiliated with the Orange County Public Libraries network.